Note - we will complete these steps for you. The following instructions are for your information only. 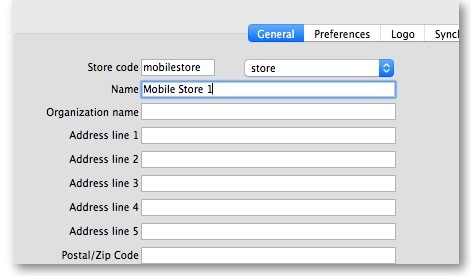 Next you need to make the current user have access to the store you have just set up. Select the user and go to Login Rights. Note - Keep track of these details, if they are lost you'll have to resynchronise from scratch! Sussol will typically have them securely stored if Sussol has done the sync setup. The correct URL for your mSupply server, usually using SSL/HTTPS protocol for security. Sync site name as defined above in this guide. 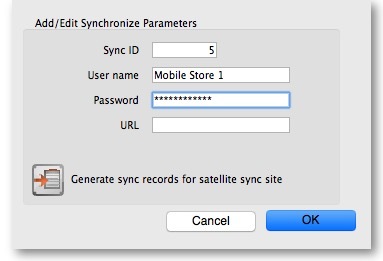 Once you have entered the information, click “Connect” to start sync: Initialisation can take between 1 and 15 minutes, depending on the number of records on the server related to the site being synced. Once the server has found all the records to sync, mSupply Mobile will start pulling them adaptively between 20 and 500 records at a time depending on the connection speed. If connection is lost or you closed the app, you can resume sync where it stopped by entering the exact same details (will go back to square one if you get it wrong). Once complete, you will be taken to the login screen. For guidance beyond here see the mobile usage guide. 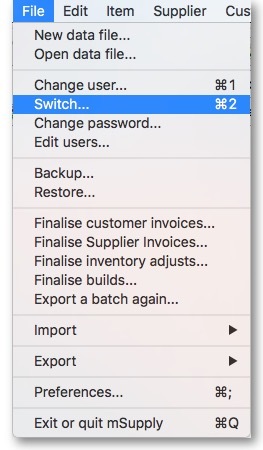 Note that the login details here are for the mSupply user that can login into the synchronised store, not the store details that were entered for sync above. If the amount of records to sync are greater than around 50,000 it may take over an hour to sync on a good connection. Many hours on a slow connection. For this reason it is possible in mSupply to limit the amount of records up to a specified amount of months ago. Now when you do initial sync, the store will only get transactions and stock takes for as far back as specified from the current date.